FORTAL are one of the leading manufacturers of access equipment for Working at Height. They are one of the few companies to offer a complete range of access equipment. Whether you’re looking for scaffolds or platforms, ladders or guardrails, FORTAL has the solution for you. 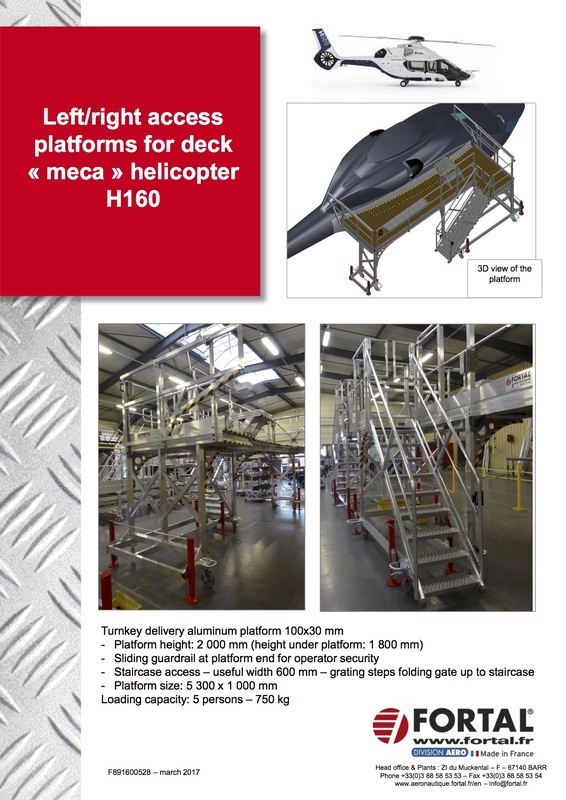 New to the range is the Left and right access platforms for deck “meca” helicopter H160. To view the full specifications click here.